I know how you feel, Yasiel. It was a miracle they got as far as they did, to be honest with you. 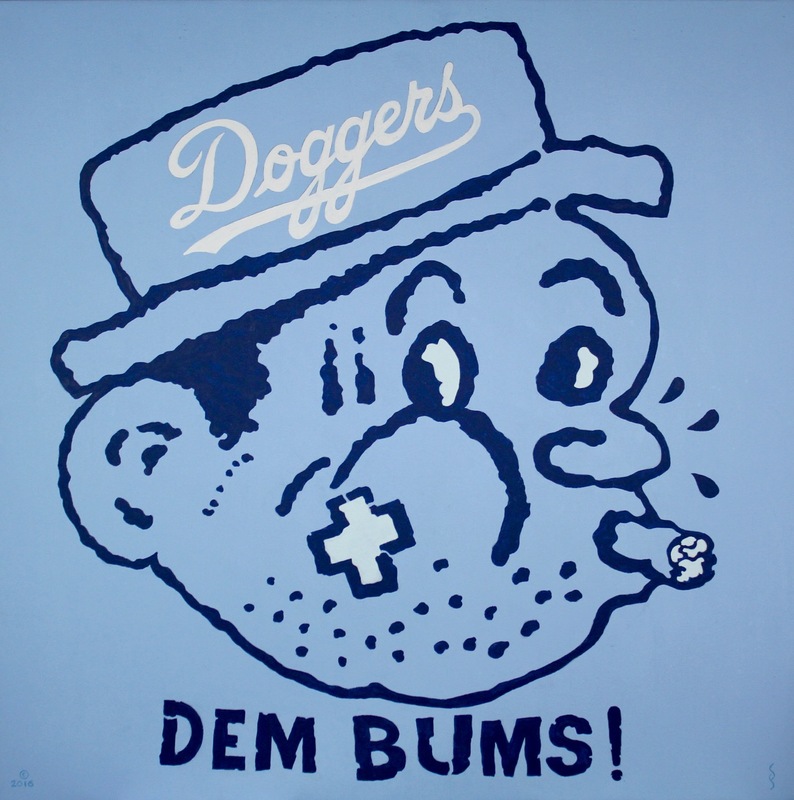 Dave Roberts did an amazing job managing a team with gumption and guts. Through unprecedented use of the disabled list, they got lucky a ton of times, and they beat the Giants, which is always satisfying. But when you find yourself seriously wishing that Kershaw could start every single game, there isn’t much hope of going all the way. And at the end, when Kershaw needed it most, the team didn’t pull together as it had so many times before. Everything fell apart. There were a few bad calls, but the final wound was self-inflicted. And the Cubs had an actual rotation and hitters who seemed to want it more. I thought for a little while that this would be the season I got to use my World Series tickets. Would you believe a home run? The Dodgers have clinched the division and will celebrate on schedule. Vin Scully, like many of us in the stadium yesterday, had been watching the other game (Giants 3, Padres 4 in the top of the 9th) as Dodger second-baseman Charlie Culberson came to the plate. There were two outs, and his team was tied with the Rockies 3-3 in the bottom of the 10th. We were bracing to go to the 11th and to clinch the National League West championship via San Francisco’s demise. BAM! Vin Scully got to report one last miracle in Chavez Ravine before hanging up his microphone and heading home. For me, it was better than Kirk Gibson’s home run simply because I was there to see it with my own eyes. I’ve witnessed many amazing moments at Dodger Stadium — Fernando’s no-hitter, Manny’s bobblehead slam, Steve Finley’s clinching homer — but they came mostly from players who were well-known to be capable of such big contributions. No one expected anything like this from Culberson, who practically danced from third to his waiting teammates at home plate. It was a beautiful, joyful and totally surprising turn of events. When Kershaw was injured, a postseason berth looked like a lost cause. Luckily, this scrappy team didn’t see what so many of the rest of us saw. To a man, they came through when needed. The unlikeliest of heroes emerged game after game. With the steady leadership of manager Dave Roberts, the veterans — Adrián González, Chase Utley, Howie Kendrick and A.J. Ellis (now gone but never forgotten) — and the rest of a roster made from spare parts came together to make history. This is a team in the truest sense of the word.